TurboBuff Compound Pad and TurboBuff Polishing Pads were designed in conjunction with an automotive restoration professional to meet the buffing needs of the automotive industry. The primary goal was to produce a buffing pad that worked more efficiently while generating less heat. BUT AS AN EXTRA BONUS, the fin design also amazingly works compound into the surface while directing compound back to the center of the buffing pad for re-use. This saves on compound use and also greatly reduces buffing time! From customer feedback, we've learned that the TurboBuff Pads are surprisingly long-lasting! For the price per uses, you're getting a high-end buffing bad for a great price! ► The high conformability of the pad eliminates the need of taping edge, handles, and other areas. 1939 Chevy buffed out by Roger Ferris of Showcar Specialist using our TurboBuff Compounding Pad after 1500 grit wet sand. Featured in the October 2014 issue of "Full Throttle" magazine. 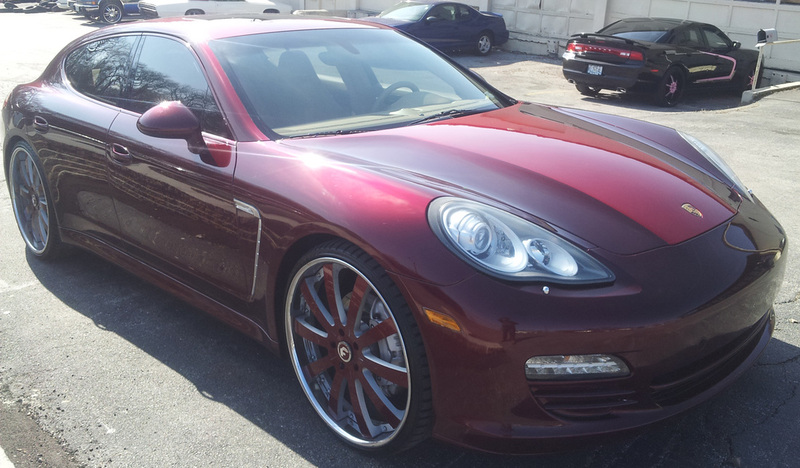 Porsche Panamera S after buffed with TurboBuff Polishing Pad.